By deploying blockchain technology Nextech securely stores both votes and results. Better still, no individual or corporation can tamper with or censor them. Where’s the need for ClearPoll? It is becoming more and more difficult to know what people really think (in contrast to being told what they think by the media). One solution is to decentralise public opinion poll data. Then you make it 100%, and publicly, viewable. Not only do users vote on polls; they also decide the next topics for polls. 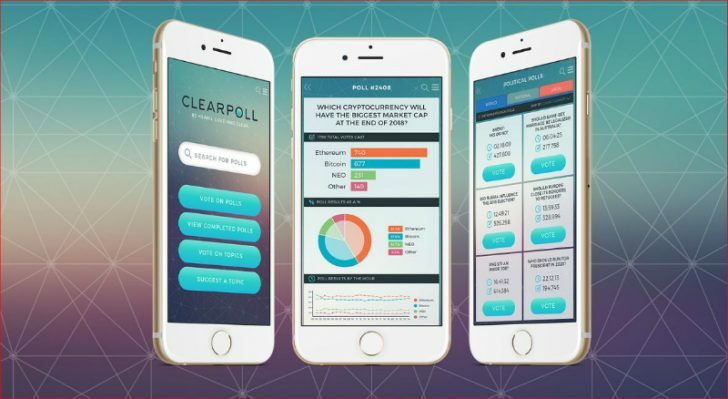 ClearPoll aims to provide accurate public opinion data. It enables this by encouraging wide participation, by making polls easily accessible via its ClearPoll app. The app gives users the means to vote on topics. The topics with the most votes become active polls for everyone to vote on. Users can easily search for polls by keyword or category. Furthermore, users can easily filter from (say) global polls to national or even local ones. When a user finds a poll he or she cares about, they vote. That vote is sent to, and recorded on the blockchain. In turn, this provides a secure and unalterable record – along with all other votes. As such it would appear to be a transparent and accurate way of gauging public opinion. independant distributed ledger which is not reliant on any existing blockchain networks. Leaving aside whether the world needs a global polling mechanism, this use of blockchain technology is different to standard fintech fare. By making it available on smartphones as well as desktops and other devices, Nextech with ClearPoll can exploit a huge potential ‘customer base’. Adopting the Hyperledger Fabric, though not yet a commitment, also makes sense. do people want to vote? who will design the polls (after the embarrassments in the UK over the past elections and the referendum,this must be an issue). Next articleIs IT getting closer to the business? According to their whitepaper, it says that users also vote for topics (topics become polls if they are popular enough). So to answer your questions of “who will design the polls” – the answer is the users do. Looks like an exciting project and clever mainstream use of blockchain – might be a very nice investment.